How Much Does Gap Pay? How Old Do You Have to Be to Work at Gap? If you are interested in Gap careers, then this guide can help you better understand what is needed to land a job here. The information and tips provided here will help boost your chances of successfully making it through an interview and getting hired. Gap’s mission in the beginning was to make it easier for individuals to find a pair of jeans that actually fit. The company wanted to be the world’s favorite for American style and they did just that. Working at Gap provides you with an opportunity to delve into new fashion and help customers find the fashion pieces they are looking for. As an employee, you will be responsible for helping customers in a one-on-one situation and help them locate their sizes. Gap offers both entry-level and manager positions in their stores located across the US. Some of the positions available include sales associate, brand associate, and assistant manager. The guide below will help you gain a better understanding of what positions are available, what is expected and provide you with tips to help you land a job there. Anyone who is interested in applying for a position at Gap can visit the online career center to fill out and submit an application. Applicants can visit their local Gap store to fill out a paper application as well. The preferred and most common method to apply at Gap is via an online application. Gap offers applicants a wide variety of job opportunities to include sales associate, brand associate, department specialist, loss prevention agent and keyholder specialist. The Sales Associate is responsible for engaging customers as they enter the store, ringing up customer purchases and assisting customers in locating the clothes and accessories they are after. In this role, the Sales Associate will help keep the store maintained by folding clothes and adjusting the displays. A good candidate for this role is someone who is able to work in a fast-paced environment and loves to assist customers. The Brand Associate is responsible for promoting everything Gap. In this role, the Brand Associate will maintain a clean and safe environment for everyone in the store, suggest brands and styles to customers and also promote new products. A good candidate for this role is someone who takes pride in themselves and the Gap brand. This individual will want to build strong relationships between the Gap brand and its customers. The Department Specialist is responsible for their particular department. They will collaborate with employees and managers to ensure they display products neatly and correctly. In this role, the Department Specialist will build brand loyalty and model leadership qualities. A good candidate for this role is someone who has experience in merchandising and visual display. This individual should be good at organization and also be able to communicate effectively with his or her team. The Loss Prevention Agent is responsible for working closely with management to identify any shortages that may exist in the store. This individual will perform audits and identify if thefts exist either through employees or customers. The Loss Prevention Agent is responsible for recovering assets, when possible. A good candidate for this role is someone who is able to maintain paperwork and watch merchandise closely. He or she should be able to fully train and understand store safety standards. The Keyholder Specialist is responsible for making sure the staff completes all tasks within the store and coordinating with the managers. In this role, the Keyholder Specialist will work to improve customer satisfaction and secure the store once the store closes. A good candidate for this role is someone who is good at organization and is able to oversee functions within the company. This individual should be able to follow all of Gap’s policies and procedures. Gap manager jobs include Assistant Manager, Department Manager, and General Manager. The Assistant Manager is responsible for helping to support the General Manager in every day roles throughout the company. This individual will support the goals of the team and help achieve those goals weekly and monthly. In addition, the Assistant Manager is a brand ambassador and represents the Gap brand in a positive light while forming strong working relationships with his or her team. The Department Manager is responsible for generating and growing sales in their assigned department. This individual will be held accountable for all productivity and merchandising that occurs within the department. As a Department Manager, you will play an important leadership role while setting and meeting goals with your team. The General Manager is responsible for scheduling, hiring, and teaching all employees about the Gap brand and store policies. He or she will hold the entire team accountable for their performance and take actions that will decrease loss. The General Manager will be a leader and budget for daily operations of the company. Gap offers wages that are competitive and comparable to similar retail stores in the market. The lowest paying job at Gap is $10.00 per hour. In fact, Gap believes in fair wages and decided to raise the U.S. minimum hourly rate to $10.00 per hour in 2015. Full-time employees at Gap also receive work-life balance benefits, health and wellness care, financial benefits and more. 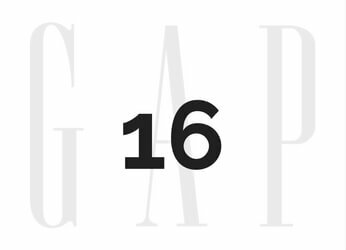 Most positions at the Gap require applicants to be 16 years of age or older to apply. Some positions, such as the manager roles, require you to be 18 years of age or older. The application does state that Gap may require a drug test at the time of hire and at any point throughout the employee’s time with the company. While the policy does mention drug tests, many individual stores do not drug test the employees when they are hired; however, as an applicant, you should expect to receive a drug test, which is offered at a third-party site. Did you happen to land yourself an interview with Gap? Great! Below, we will provide you with some information and tips that will help you get through the interview process at Gap. Why Do You Want to Work for Gap? They will most likely ask you this question. You can answer it by talking about what you love about Gap and why you would want to work there. For example, maybe you want to work there because you love Gap clothes and want to be an advocate for the brand. If you will serve in a customer service role, they will likely ask you this question. To answer this question, you should think about how you should treat customers. Keep in mind that good customer service involves listening and helping. They may ask why you think you are a good fit for the position and this is a common question. You should answer it with your qualities and skills in mind. For example, maybe you would be a good fit because you have exceptional customer service skills or because you have sales experience and can sell the clothes. It is important to dress nice for your interview and you should keep it business casual. You do not want to wear jeans, but you do not want to wear an entire suit either. Dress nicely and make sure that your clothes are stain-free and presentable. Your first impression needs to be perfect.